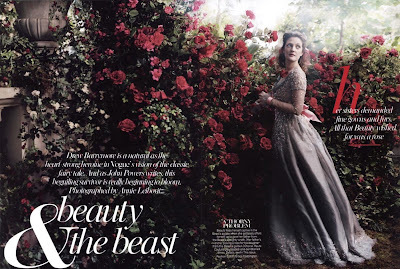 Fashion and sought-after portrait photographer, Annie Leibovitz, has tackled more than a few fairy tale subjects in her time. 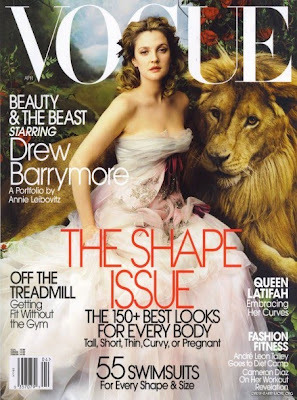 Today we look at how she portrayed Beauty and the Beast (with Drew Barrymore as Beauty) for Vogue in 2005. 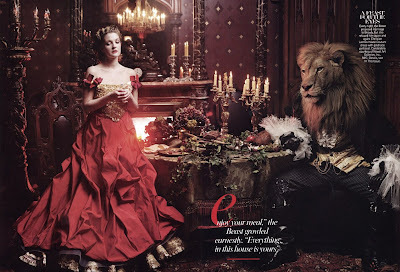 Although there are images available on the web without the text I thought the commentary and retelling of the story was interesting so have included the image versions as printed in the magazine. You can see a slideshow without the text HERE. A thank you to Arlene deWinter for alerting me to these via her Gothic Faery Tales site. 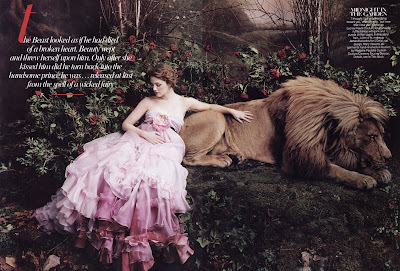 Arlene has some lovely things to explore there, including her original - and dark - retellings of fairy tales. You can find her HERE.